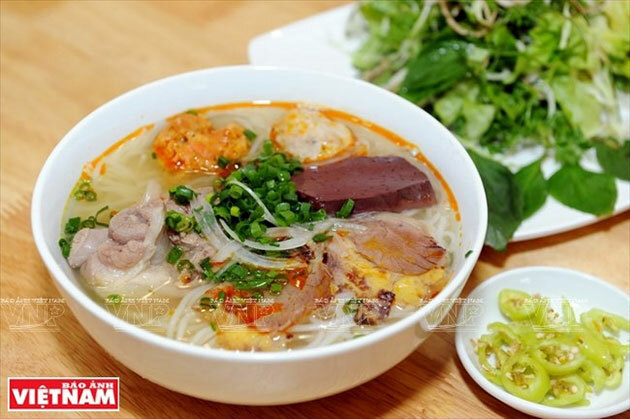 Bun Bo Hue (Hue beef noodle), a popular dish in Thua Thien – Hue central province has become well-known worldwide. 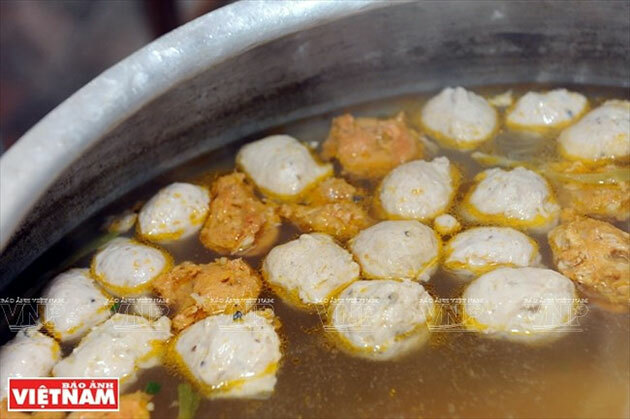 US chef Anthony Bourdain calls it the world’s best noodle soup in his show on CNN. Bun Bo Hue is served with some dill, lemon, and green chilly. 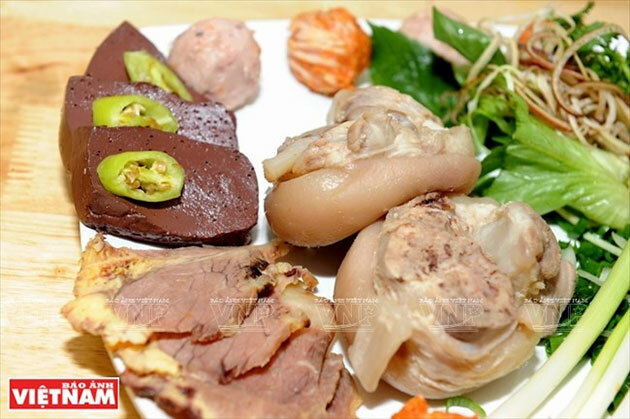 The dish contains two pieces of pig’s trotter, ​several pieces of boiled pig blood, crab or beef meatball, boiled beef and vegetable. 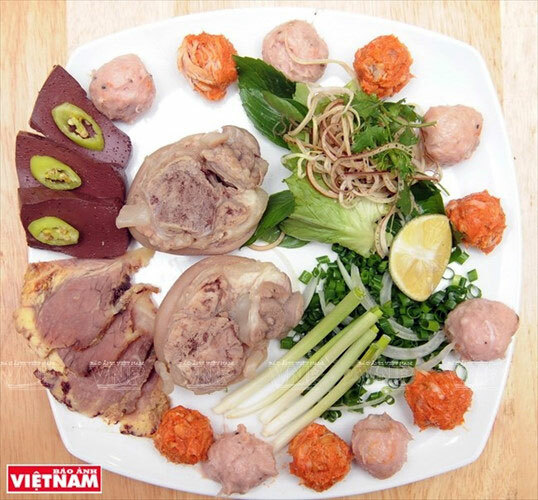 Bun Bo Hue has both pork and beef. The soup for Bun Bo Hue is like no other soups. It takes skilful hands to make the properly clean soup. 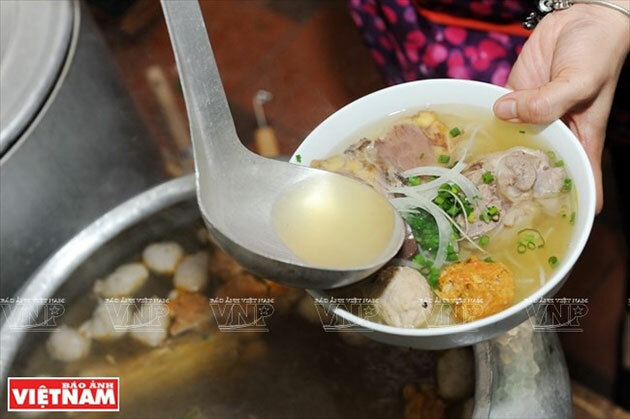 Bun Bo Hue (Hue beef noodle) is a popular dish in the central province of Thua Thien – Hue.